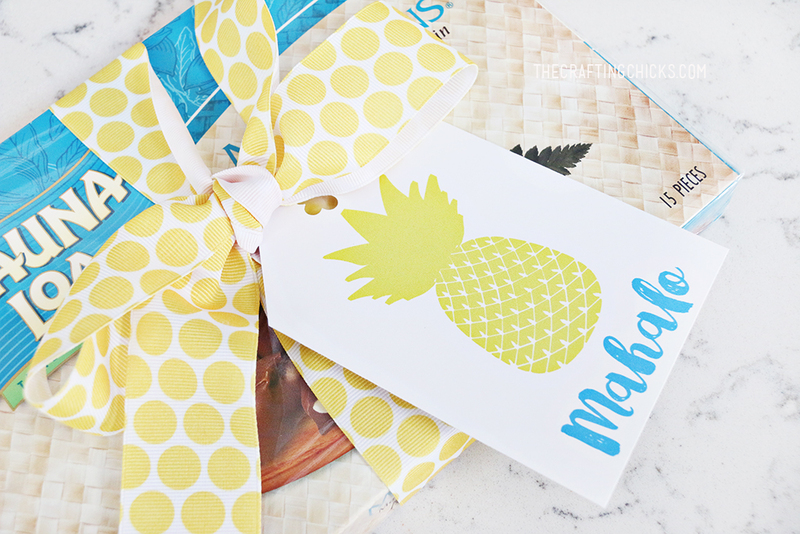 We recently returned from a couples Hawaii getaway! It was heavenly! It is so stressful leaving kids, and I definitely counted on wonderful neighbors, friends and family to help us back at home. I wanted to give a sweet gift to our kind family and friends. 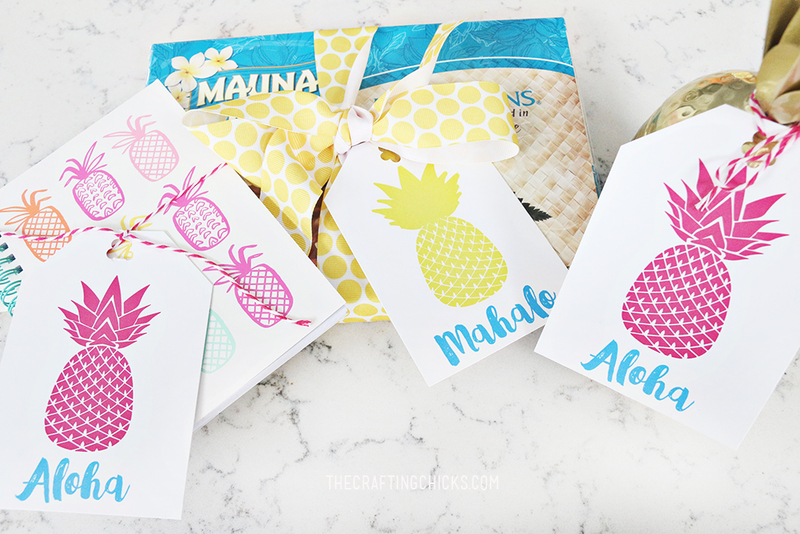 I designed some cute Pineapple Gift Tags to go along with “Pineapple” themed gifts. 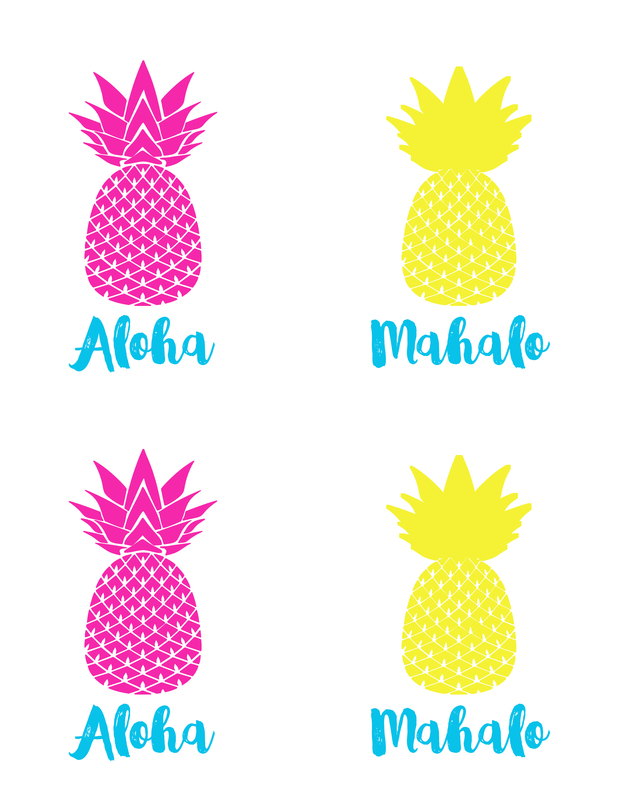 1-Download and Print the Pineapple Gift Tags below. 2-Cut out the tags. Cut out a triangle on each side at the top of the tag to create a tag shape. 3-Using a whole punch (I used a fancy flower one) cut out a hole at the top of the tag. 4-Attach your tag with ribbon or baker’s twine to a fun gift. 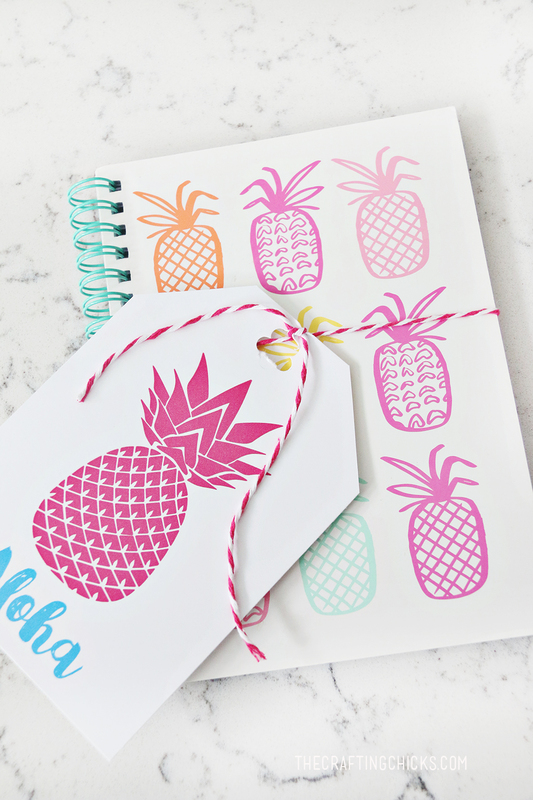 This pineapple notebook makes such a cute gift. Or grab extra chocolate covered macadamia nuts while on vacation to share with loved ones. 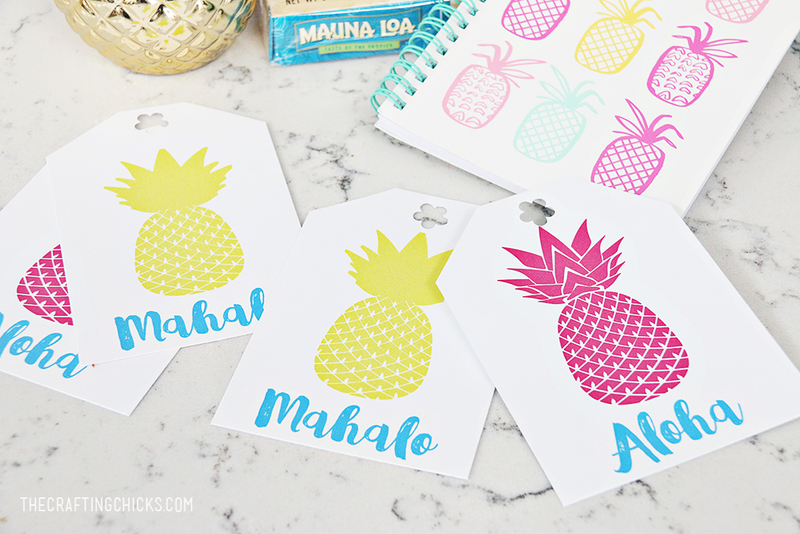 The “Mahalo” (Thank You) tag is a fun way to thank friends and family. Or just say hello with the “Aloha” version. My friend gave me this pretty gold pineapple candle that I had to use as a sweet sample. Here is a similar one in copper that I love! 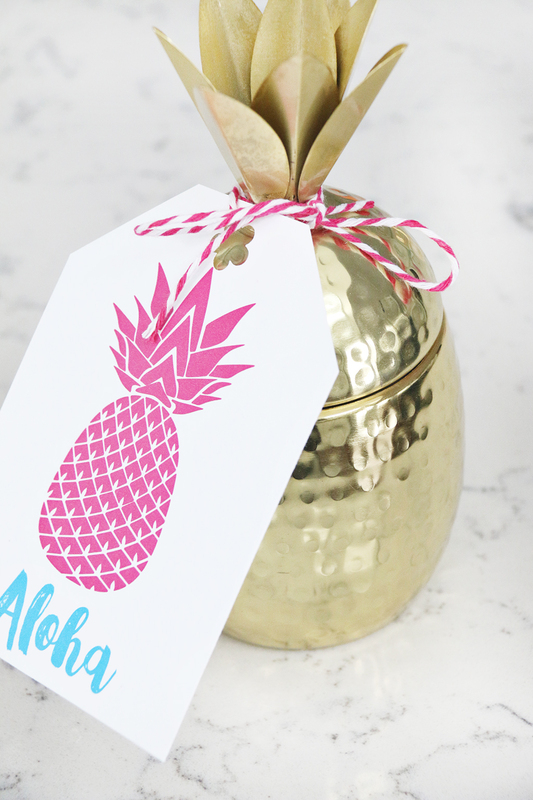 Attach the gift tags to any pineapple…real or fake! 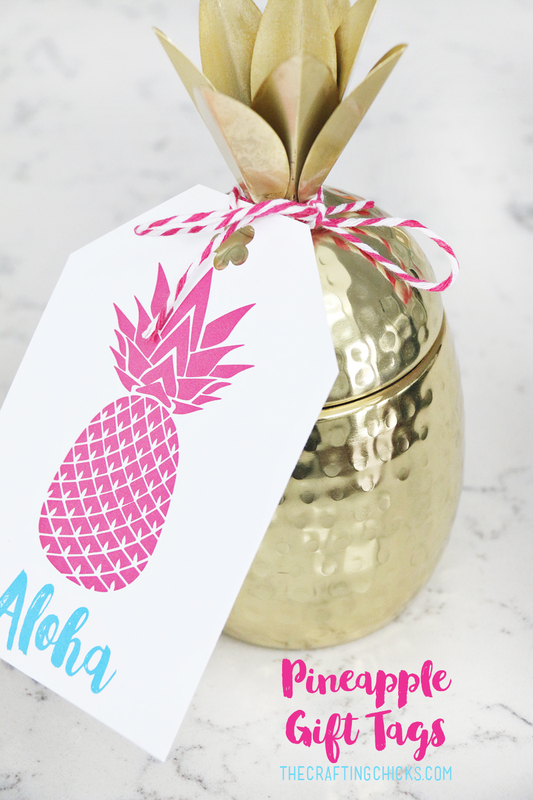 A real pineapple would make such a fun gift too! Download Below. 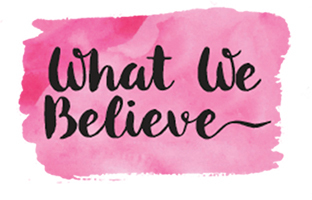 Downloads and Printables belong to The Crafting Chicks, LLP. Personal Use Only Please.